We have a PET-PERFECT prize pack to give away: Physical Exam, Flea/Heartworm Prevention & a New Toy for your Pet! No Better Way to Kick Off Summer Right For Your Pet! 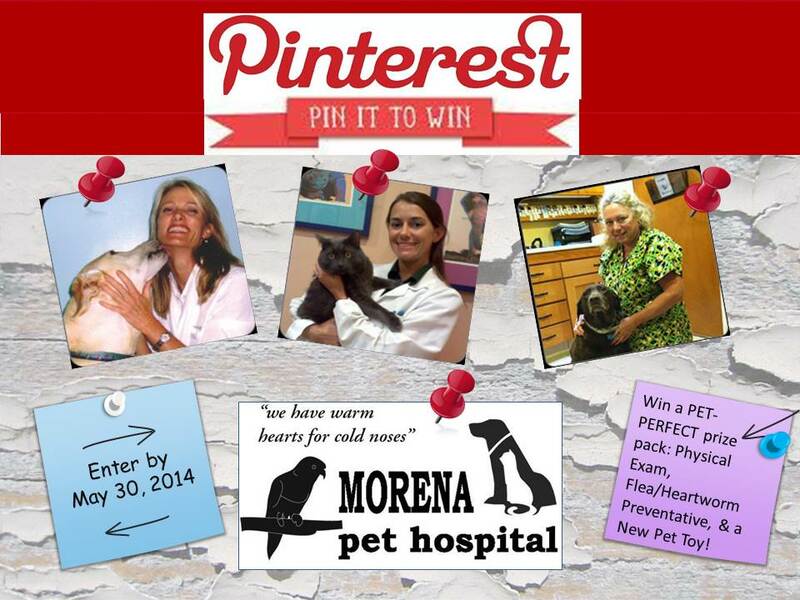 2.Create a new board titled “Morena Pet Hospital’s I Love My Pet Pin to Win Contest". Make sure to add @Morena Pet Hospital in the description. 3.Include a photo of your pet & start pinning anything pet-related (Hint: Think of your pet’s favorite activities, toys, places to go). 4. Share with your friends & family. Contest Ends May 30, 2014! Happy Pinning.